Edith, who has worked with an ESL tutor for two years at Literacy of Northern NY, opened her own business, Lobel, in April. 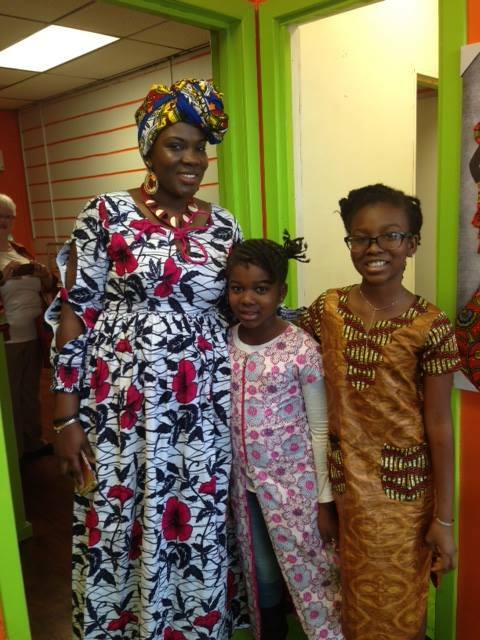 She is pictured with her two daughters on opening day at the store. She has a wonderful selection of dresses, purses, and other items reflecting the style and traditions of her home country, Burkina Faso. She designs and sews all her items. Edith and her husband decorated the store and put in a lot of time and effort into launching the business in Watertown. Her tutor, Carla, helped her, accompanying her to the bank to open up a business account, and advising her on business terminology, marketing tips, in addition to working on expanding her vocabulary in English and her comprehension of spoken English.